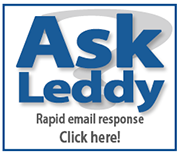 Leddy Research Question Competition Closes Sep 30th! The Leddy Research Question Competition closes on September 30th at the end of the day! So make sure you get your question in for a chance to win a 50$ prize! Just go to http://scholar.uwindsor.ca/leddyrqc/2016rqc/ to enter. What is the Leddy RQC?! Is there something you're curious about? Do you have an interesting, engaging or even amusing research question? If so submit it to the Leddy Library Research Question Competition for a chance to win one of three 50$ prizes! Take a look at last year's questions here! Whether you're curious about automotive heat transfer, eSports, Ivan the Terrible, quantitative zoology or anything in between, If you're a student at UWindsor with a research question you'd like to share we'd love to hear it! It's easy! Just click "Submit Research Question" under Author Corner and follow the steps provided. Submissions will be reviewed and the top questions will be posted here and on posters around campus. Three 50$ prizes will be awarded! The Research competition is a precursor to the 2017 UWill Discover! Undergraduate Research Conference. UWill Discover provides undergraduates an opportunity to showcase and present their work to faculty and peers in a professional conference setting. Keep an eye out for more information about UWill Discover 2017.